Finally out of the shop for a burnt Distributor, its nice to be out of the Crown vic and back in the Mustang. Despite being a four cylinder LX, it has shown to have a fair amount of power... Yes 88HP is enough power. Tomorrow I’m picking up a Rear Swaybar from a local 87 GT that’s being picked apart and hopefully I can get it all installed by the end of the day. My Roomate and I are planning to drive up to DC next weekend in our individual Fox bodies so I’m looking forwards to that. 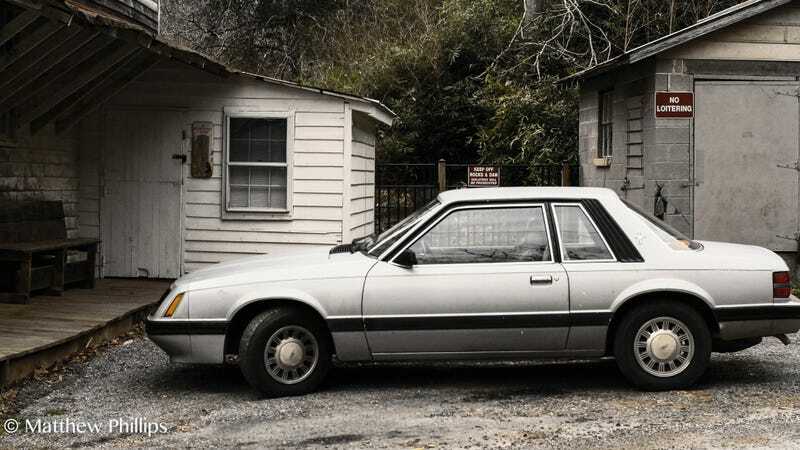 The Crown vic may end up being sold in a few months, the Mustang is a much better daily and I can afford to drive it more.